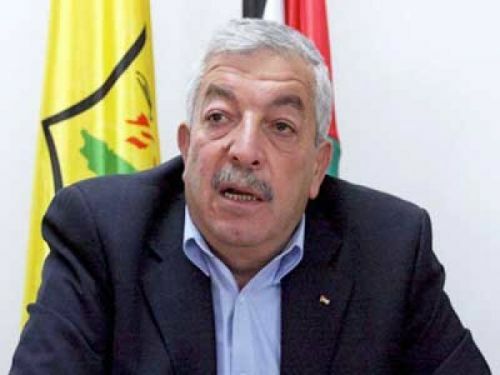 Senior Fatah Party official Mahmoud al-Aloul has been appointed as a temporary stand-in for Mahmoud Abbas in case the head of Fatah and the Palestinian Authority becomes unfit to continue in his positions before elections take place…writes Yoni Ben Menachem/JNS.. According to Fatah sources, Gen. Majid Faraj, head of the General Intelligence Services, is Mahmoud Abbas’s preferred candidate for his successor as chairman of the Palestinian Authority. Faraj is also acceptable to the United States and Israel. One of the most important topics apparently discussed was the question of what the Fatah movement should do if Abbas were to become unfit to rule as a result of his advanced age and his fragile state of health. Last week, he was hospitalised at the Johns Hopkins Hospital in Baltimore for medical examinations. Abbas, 82, suffers from serious heart problems, and according to Palestinian sources in Fatah, has stomach cancer as well. This process of choosing a successor to Mahmoud Abbas as leader of the ruling party, which is just beginning within Fatah’s institutions, is extremely important. Apparently, Abbas is starting to realise that he may have to leave his position due to his state of health, and he wants to influence the choice of his successor while he still has the strength to do so. It is worthwhile paying some attention to the points of view expressed by the No. 2 leader of the Fatah movement, Mahmoud al-Aloul, who was recently appointed as Abbas’s deputy, giving him a clear advantage in the struggle for the succession to the position of chairman of the P.A. Mahmoud al-Aloul has a long history of struggle against Israel. Al-Aloul, 66, was born in Nablus (Shechem). Israel exiled him to Jordan in 1971 due to his terrorist activities. Al-Aloul was a member of the PLO’s higher military council; in 1983, he was responsible for the kidnapping of six IDF soldiers in Lebanon. He was also responsible for the prisoner-exchange deal in which around 5,000 inmates of the Ansar camp in southern Lebanon and another 100 security prisoners in Israeli jails were released in return for the kidnapped Israeli soldiers. Al-Aloul also served as the secretary of the Council for the “Affairs of the Occupied Territories,” which presided over the first intifada. His son, Jihad, was killed by Israel Defense Forces’ fire during the second intifada. Mahmoud al-Aloul is currently involved in attempts to shore up the faltering power of the Fatah movement on the Palestinian street and to rehabilitate its status, which has been badly damaged due to Mahmoud Abbas’ policies. In the interview, al-Aloul admitted that “there are gaps between the Fatah movement and the Palestinian street.” According to Fatah sources, al-Aloul is urging Fatah leaders on a local level in the West Bank to go down to the street, be in touch with the people and become more reconciled with them. Meanwhile, despite al-Aloul’s rivalry with Jibril Rajoub, who was appointed secretary-general of the Fatah movement and is essentially the organization’s No. 3 in charge, both men are working together against Prime Minister Rami Hamdallah, a protégé of Mahmoud Abbas. And both of them are working against Muhammad Dahlan, who is a shared political rival and is also claiming the crown of the P.A. 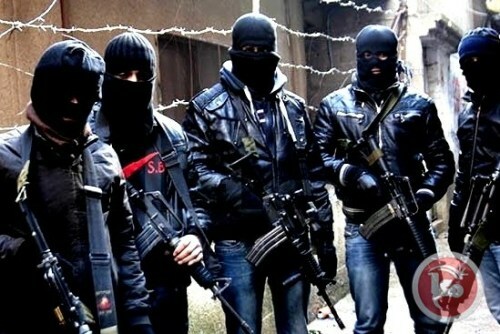 Although al-Aloul is not considered as a threat to Abbas, he is a man with a great deal of experience with terrorist activities and assassinations. According to senior Fatah officials, two years ago al-Aloul tried to assassinate Ghassan al-Shakaa, a member of the PLO executive committee and former mayor of Shechem, who died in January from a malignant disease. The appointment of Mahmoud al-Aloul as acting vice chairman of the Fatah movement, until internal elections are held, does not necessarily mean that he will be the next chairman of the Palestinian Authority. Fatah has begun preparing for the election of a successor to make sure there is a solution in place before the problem arises, and also to prevent any surprises if Abbas suddenly stops serving in his position for health reasons or if he dies. According to Palestinian law, in the case of incapacitation, the chairman of the Legislative Council (Parliament) replaces the chairman of the Palestinian Authority for a 90-day period, until presidential elections can be arranged. Currently, the chairman of the Legislative Council is Hamas activist Dr. Aziz Duwaik of Hebron, but the Fatah movement is determined not to give him a foothold in the Palestinian Authority in the West Bank. The implication of al-Aloul’s appointment as temporary leader of the movement is that he will also be able to serve temporarily as chairman of the P.A. However, this will require a legislative change. Mahmoud al-Aloul belongs to the hawkish faction of Fatah. Israel, the United States, and the Arab countries are concerned about his opinions. The Arab Quartet (Egypt, Saudi Arabia, Jordan and the United Arab Emirates) would prefer Muhammad Dahlan as the next chairman of the P.A., while Qatar favors Fatah’s secretary-general, Jibril Rajoub, for the position. However, according to Fatah sources, Abbas’s preferred candidate for his successor is his loyal supporter Gen. Majid Faraj, head of the General Intelligence Service in the West Bank. Faraj is also accepted by the United States and Israel, due to his commanding the P.A.’s war on terror, which is a major consideration. For them, Abbas’s successor must continue his line of maintaining security cooperation with Israel in the West Bank. Faraj has already proven his success in this specific area. The struggle for the succession in the P.A. is heating up, and this is only the beginning. An interesting future is expected to lie ahead.